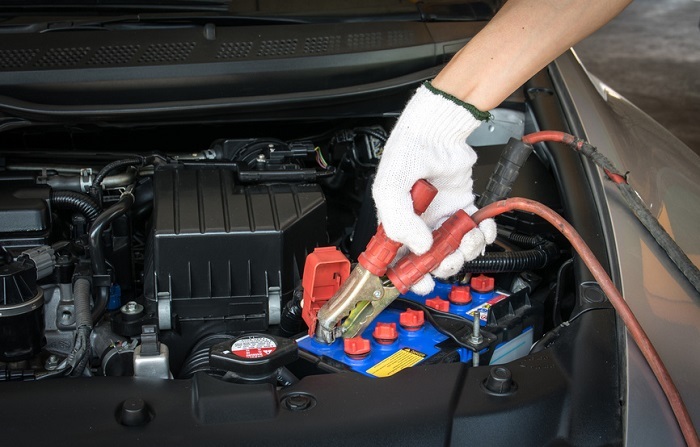 According to AAA, when it comes to your car battery, “Early detection of weak components can save you time, money and inconvenience.” Oil changes and tire rotations are often regular parts of a driver’s routine maintenance checkoff list. The battery, however, can be misunderstood as something that’s simply there and will work throughout the life of the car. In actuality, most car batteries achieve an average lifespan of four and a half years. Checking in on your own car’s battery roughly every six months will help you maximize this lifespan. Battery corrosion is a clear indicator that it’s time to bring your car into the shop for a checkup. To identify this corrosion, you’ll want to pop the hood up and take a look at the battery terminals. These are the two points where your battery connects to the car, and serve the same purpose as the “+” and “-“ ends on the batteries that power many of the things in your home. While some troubles are tough to spot without some technical knowledge, car battery corrosion is easy to see. It manifests as a powdery buildup around one or both of the terminals. That buildup is typically blue, white, or orange in color. Other car battery issues are noticeable when you’re sitting in the driver’s seat. While the engine provides power to several aspects of the car once it’s started, it’s the battery that kicks everything off. So if you’re noticing that you’re having trouble starting your engine, it may be an indication that the battery is nearing the end of its life. Dim headlights or dashboard lights, or weak or non-working interior technology like the air conditioning or the radio can also be signs that it’s time to replace the battery. If you’re looking for Honda service you can trust, we’ve got you covered at Keyes Honda. And we’ve always got a number of Honda service specials here at our dealership near Los Angeles, CA. So if you’ve got issues with your battery, or any other aspect of your Honda vehicle, head in today and we’ll get your car back in fighting form. Thanks for Sharing the information and keep on updating us regularly.